Healthcare provision at the largest National Health Service (NHS) trust in England is “inadequate” across all areas, including safety, staff training and leadership, an independent health regulator warns. The revelation surfaced in a damning report published Friday by Britain’s Care Quality Commission (CQC). 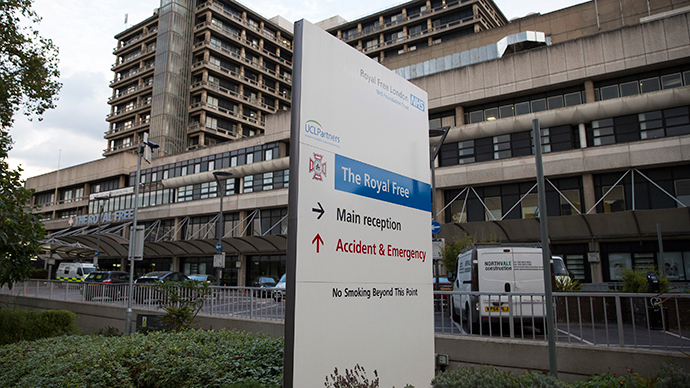 It found that Barts Health Trust, which comprises six hospitals and other regional healthcare centers in north London, was performing poorly on a number of levels. The CQC’s report found that less than half of the staff working for Barts Trust, some 46 percent, had received the mandatory training booklet introduced by the trust. It also found that many staff were failing to comply with national clinical guidelines. Hospitals in the trust were also found to consistently miss the four-hour Accident and Emergency waiting time target, with other patients facing a wait of up to 18 weeks for referral to treatment (RTT). Other elements deemed poor by the report were a lack of safety procedures, a failure to manage complaints effectively and consistently low staff morale. However, only 32 percent of staff would recommend the trust as a place to work, the third lowest rating in the country. Barts Health National Trust, the largest health trust in England, is bound by a 43-year private finance initiative (PFI) contract worth £1 billion ($1.5 billion). Since its founding, the contract has burdened the trust with debts of £93 million ($141 million). In total, British taxpayers are estimated to owe roughly £222 billion ($337 billion) to banks and private firms under 720 PFI contracts. By 2050, the UK’s total PFI bill could amount to £310 billion ($470 billion) or four times the UK’s deficit, experts suggest. Critics say the PFI contracts are scandalously overpriced, shrouded in secrecy and in certain instances dependent on criminally-rigged Libor rates. Joel Benjamin, an ethical finance campaigner at Move Your Money, told RT that the NHS is being “systematically financialized” via PFI contracts. He also warned they are primarily funded though austerity cuts. “Studies invariably show quality of provision and service decreases with privatization and the extraction of profit. In NHS terms, this means more fatalities. With PFI and the Health and Social Care Act, Government has removed the ‘social contract’ and installed a business contract,” he said.